شوهرم یه آتش نشان بود یادمه روز اولی که دیدمش تو ایستگاه آتش نشانی نشسته بود و داشت با همکارش حرف میزد داشتم از اونجا رد میشدم که پاشنه کفشم شکست و خوردم زمین . هی ..... روزگار چه زود گذشت ..
بگید قول دادی امشب زود بیای کیک بپزی. All people want peace with material prosperity that results from economic development. Therefore, all countries want to be developed, but none of the Muslim countries are developed. Today, the official religion of fifty-three of the world’s countries is Islam. Of course, the leaders and heads of these countries are Muslim. Interestingly, these fifty-three countries are different in terms of race, culture, geography and language, but are similar in terms of poverty, insecurity, backwardness, underdevelopment and religion. Among the Muslim countries, Albania is the poorest and most backward European country. Most countries in the Middle East with massive wealth and natural resources are underdeveloped and are part of the Third World. Turkey, the United Arabic Emirates and Malaysia are the only developing countries that do not enforce the rule of Islamic law and are governed by secular leaders. Yemen, Afghanistan, Libya, Syria, Iraq, Bahrain and Somalia are involved in civil war. The most important factor that leads to insecurity and violence is organizations that wave the banner of Islam and claim to represent Muslims. The highest incidence of crime, killings, assassinations, violence, and human rights abuses occur in Muslim countries.In addition to poverty, insecurity and dictatorship in Muslim countries, a fundamental question remains: Why do Muslim countries face war and underdevelopment? To answer the above mentioned question, it is necessary to examine the purpose and nature of Islam. In this book, the purpose and nature of Islam is examined during the lifetime of the Prophet (pbuh) and the existence of the Islamic Republic of Iran and other Muslim entities. Fourteen hundred years ago, the Prophet (pbuh) founded Islam. The aim of the Prophet (pbuh) was prosperity. He said: "say that no God but Allah may prosper. "Prosperity means more salvation in this world and happiness in the afterlife. The provision of salvation and welfare in this world is examined in economic development. Happiness in the afterlife is a phenomenon that happens in the future. This phenomenon is not reviewed by and remains absent from this study. Economic development suggests ways to achieve human welfare. It determines the criteria for achieving economic development. This study selected thirteen criteria proposed by scholars of economic development for the welfare of most communities. The research method is comparative. Therefore, these thirteen criteria evaluate the performance of the councils of the Holy Prophet (pbuh), the Islamic Republic of Iran and other Muslim entities. The aim of this study is to identify the purpose and nature of Islam. Is the nature of Islam development-oriented? Does this mean that religion can bring prosperity to its followers? Or, on the contrary,is the nature of this religion hawkish and destructive? To find the answer to these two questions is to identify the causes of war and underdevelopment in Muslim countries. Theselected criteria for this study are as follows. 1. The scientific outlook as cultural beliefs 2. Beliefs in human equality 3. Freedom of expression 4. Environmental protection as cultural beliefs 5. The presence of women in social activities 6.Apowerful government and flexibility in the international arena 7. Political participation bycivil society organizations 8. Legality 9. Transparency 10.The role of elites in economic development 11. Human rights12. Strategic attitudes 13. Responsiveness. The results show the following:The state founded by the Prophet Muhammad (pbuh) and his ten-year rule implemented all the criteria required for economic development, if we assume that welfare and security are relative. During the ten- year rule of the Prophet (pbuh), welfare and security increased. As such, the Prophet (pbuh) followed the pattern of a human development-oriented and developed state. Therefore, all the criteria required for economic development as divine laws were implemented and emphasized. With this introduction we can say the following: More proof exists that modern man knows what is essential for economic development, as emphasized and implemented in Islam. Therefore, the governments and communities that mishandle these criteria can be considered, in principle, a deviation from Islam. After the life of the Prophet (pbuh), Muslims became divided into different groups. The first splinter group was the Kharijites. This group, according to the Qur’an, was Muslim infidels and pagans. Then, Muslims were murdered on the streets. As a result, blind assassinations were carried out in the name of Islam. This group fabricated many traditions to justify its work. The second splinter group was the Umayyads. This group, according to the Qur’an, had a plan for cruel dictatorship. This group did not implement any of the criteria that the Prophet (pbuh) had recommended. The practice of Islam was diverted from its original purpose and nature. Failure to heed or follow the recommendations of the Prophet (pbuh) led to war and underdevelopment in Muslim countries. Now, under various pretexts, the criteria for development have not been implemented. The reasons for this are as follows. 1- Criterion of a scientific attitude: The scientific outlook is based on testable and repeatable events and phenomena. Islamic scholars think that the scientific method exists to eliminate religion and Islam. As such,they seek to prove that the scientific method is inefficient. These actions cause Muslims to become superstitious. ‌2- Belief in human equality: The leader of each Muslim sect claims to know the impurities of the followers of other sects of Islam and the followers of other religions. This has led to the issue of equality being violated. 3- Belief and culture of free expression: Various sects of Islam do not tolerate opposition protests and free speech. Religious leaders consider protesters apostates. Freedom of expression is promoted through a free and independent media and social networks. Most religious leaders are prohibiting mass media, such as radio, television, Internet, etc. and social networks. In some countries, the media is severely restricted. 4-Environmental protection as cultural beliefs: Muslim countries do not care about the environment. Dust and air pollution has increased significantly. In this case, no religious leaders speak against or warn of it. 5- Presence of women in social activities: God prohibits insulting and humiliating women and gender discrimination. However, in Muslim countries, all kinds of insults and sexual discrimination against women are carried out. In addition, for various reasons, these countries ban women from social arenas. 6- Powerful government and flexibility in the international arena: The main obstacle to powerful government is absolutism in Muslim countries.Absolutismmeansthatevery Muslim sectdeemsonly itself as right and the other sects aswrong,heathen, infidels, heretics, and apostates.This right and wrong is used forexplanation andhistorical interpretation. These opinions causesectarian warinside countriesand preventnegotiatingand understanding with foreign countries. Islam and the Holy Prophet’s (pbuh)lifestylerejected absolutism. Additionally,thelifestyle of theProphet (pbuh) was based on negotiation and understanding. 7--Thestate that the Prophet (pbuh) founded was based on the maximum participation of the people. Today, the maximum participation of the people is possible by creating civil society. Examples ofcivil society include councils, provinces, cities, towns,villages and neighborhoods that are organized to provide public services.Other examples include guilds, cooperatives, unions and popular organizations that regulate the market.Theheads of these organizations are elected by direct popular vote for a limited time. However, some jurists have now defined Islamic governanceas dictatorship. They are opposed to democracy and civil society. This issue is caused by dictatorships in Muslim countries. 8- Legality or the rule of law consists of havingan independent judiciary that effectively and efficiently interprets the law. An independent judiciary is measured by the Gini coefficient index, corruption levels, the number of cases that have been filed with the Justice Department, the number of prisoners, and the number of senior officials who have been tried and convicted. In all Muslim countries, these indicators are negative. Therefore, the judiciary is not independent in Muslim countries. The effective and efficient interpretation of the law serves the public interest and corrects systemic weaknesses. Effective legislation requires legal research institutions. There are no such institutions in Muslim countries. 9- Transparency: Government corruption prevents entrepreneurs from increasing their productivity and employment. The state that was established by the Prophet (pbuh) contained a high degree of transparency. Today, international organizations have defined indicators of transparency. Results show that Muslim countries are not performing well in this area. As a result, the laws and behavior of the leaders of Muslim countriesaredifferent from the behavior of the Prophet (pbuh). 10- The role of elites in economic development:Elite formation can only occur in democracies with strong political parties. Within political parties elites codify plans for economic development. Therefore, elites implement their programs after assuming power. In dictatorships and republics without strong parties,elites are not organized or disciplined. As a result, the government does not have a sound plan for development. It may be thatthe management of these countries is placed in the hands of powerful groups. The dominance of powerful groups has destroyed every country. In Muslim countries, there is no democracy or strong political parties. In Iran, the behavior of the Guardian Council during elections prevents elites from being organized or acting collectively. As such, the most important cause of underdevelopment in Iran is the behavior of the Guardian Council. 11- Human rights: The mission of the Holy Prophet (pbuh) was the observance of human rights. He removed all the customary penalties and put in place a legal mechanism. Additionally, methods to remove or reduce punishments were institutionalized in Muslim society. During the ten-year rule of the Holy Prophet (pbuh) no one was beaten, imprisoned, executed, or insulted. However, in Muslim countries, none of the commands of the Prophet (pbuh) regarding human rights are enforced. These countriescommit human rights violations andjustify them based on differing interpretations of Islam. 12- Strategic objectives: The main goals of Muslim rule are equity and social welfare. However, some Muslim sects have focused on the fight against polytheism and disbelief. As a result, financial resources are not mobilized for development or economic prosperity. This focus is considered a perversion of Islam. The Prophet (pbuh) only fought against polytheismthrough religious propagation andcultural activities. As such, he shunned all forms of violence and other costly actions. On the other hand, the purpose of religion and religiosityis totrainexperts, who are efficient and committed to the interests of the public. Since such people in Muslim countries are scarce and rare, it is necessary to revise the structure of religious educational institutions. Finally, in order to achieve economic development, banks must play a role in providing investment. However, the idea of Islamic banking plays a destructive role in the economy of Muslims countries. 13- The purpose ofresponsivenessis to increase the indicators of per capita income, stabilize per capita income and the human development index, and decrease the misery index. Figures published by international organizations on responsiveness show that these figures and rankings for Iran and other Muslim countries are low. These indicators show that public administrators and civil servants in Muslim countries are not accountable or responsiveness to the people. In general, the thoughts and actions of some Muslim religious leaders have caused wars and underdevelopment. In Iran, the behavior of three institutions – the Guardian Council, the judiciary, and Islamic banks – has caused underdevelopment. The entire book is in Persianand is available for download. اگر افرادی در فضای آزادی بیان قرار بگیرند، قادرند، مسئولین جامعه را کنترل کنند. لذا در چنین جامعه‌ای مسئولین اجازه کوچکترین اشتباه را نخواهند داشت. وقتی مسئولین بهترین انتخاب را برای جامعه داشته باشند، پیشرفت و توسعه امکان پذیر می گردد. جامعه آزاد،‌ به هیچ کسی اجازه نمی دهد تا به هر بهانه‌اي چوب حراج به منابع و ثروت ملي بزنند، چرا كه مورد بازخواست مردمي قرار خواهند گرفت. در جامعه آزاد، تخلفات به حداقل ممکن می رسد. چون همه چیز و همه مسائل تحت کنترل عموم مردم قرار دارد. کوچکترین تخلف در جامعه منعکس و با او برخورد می شود. در غیر اینصورت، رواج فساد مالی راه پیشرفت اقتصادی را سد می‌کند. سطح بالای فساد مالی موجب، خارج شدن فعالیت های سرمایه گذاری از شکل مولد آن به سوی فعالیت های زیر میزی است. هم چنین، فساد مالی می تواند موجب پرورش سازمانهای رعب آوری مانند مافیا و باندهای قدرت شود. هر چند پدیده فساد مالی جدید نیست و در طول تاریخ شواهد فراوانی وجود دارد که فساد مالی و قانون شکنی را ثبت کرده است، و راه هایی برای برخورد با آن نیز پیشنهاد شده است. ولی هیچ کدام از راه های پیشنهادی نمی تواند،‌ فساد مالی را مانند آزادی بیان از بین ببرد. حتی قانونی که می گوید، اگر حاکمی اصیل و صادق باشد، مسئولینی شریف در دولت او خدمت خواهند کرد و افراد رذل به حاشیه می روند، و اگر حاکمی صادق نباشد افراد موذی و فرصت طلب در آن حکومت راه یافته و انسان های وفادار به گوشه ی عزلت پناه می برند، نیز نمی تواند راهی برای کاهش و از بین بردن فساد باشد. این قانون شاید درست باشد. ولی اگر حاکمی صادق و امین باشد،‌ باز ممکن است، افراد تحت امر او صادق و امین نباشند و برای منافع خودشان تلاش کنند. البته این قانون در دنیای قدیم تا حدودی کارآیی داشت. چون در دنیای قدیم، وظیفه دولت زیاد نبود و به تبع آن تعداد مدیران هر جامعه اندک بودند، حاکم صادق و امین با تعدادی مدیر که معمولاً کمتر انگشتان دست بود، کار می‌کرد. کنترل تعداد کم مدیر شاید زیاد مشکل نباشد. ولی وقتی وظیفه دولت زیاد می شود و مدیران بیشماری در دولت خدمت می کنند، یک نفر نمی تواند بیش از 10 هزار نفر مدیر را کنترل کند. لذا قانون حاکم صادق و امین در حال حاضر نمی تواند جنبه اجرایی داشته باشد. وقتی مدیران یک جامعه زیاد می شود، حاکم صادق و امین فقط می تواند از طریق رسانه های آزاد، مدیران تحت فرمان خود را کنترل کند. در نیتجه اگر در جامعه ای حاکم و صادق و امین حاکم باشد و آزادی بیان در جامعه وجود داشته باشد. امکان کنترل مدیران تحت امر امکان پذیر است. در غیر اینصورت، حاکم صادق و امین نمی تواند مدیران تحت امر خود را کنترل کند. وجود آزادی بیان در حکومت های جمهوری موجب می شود،‌ مردم به طور طبیعی به کسی رأی دهند که صادق و امین باشد. ولی اگر آزادی بیان وجود نداشته باشد، هر شخصی می تواند با تبلیغات گمراه کننده حکومت را بدست گیرد. در این صورت حکومت بجای اینکه در دست فرد صادق و امین قرار گیرد در اختیار باندهای قدرت قرار می گیرد. پس انتخابات مردم زمانی می تواند، توسعه کشور را رقم بزند که اولاً آزادی بیان وجود داشته باشد تا شخصی که حکومت را بدست می گیرد، حاکم امین و صادق باشد و امکان کنترل مدیران تحت امر نیز وجود داشته باشد . آزادی بیان می تواند دولتی را توسعه گرا یا توسعه خواه کند . اگر آزادی بیان نباشد حاکمیت افراد رذل و پست دور از انتظار نیست. مهمترین مؤلفه آزادی بیان، آزادی رسانه ها ، روزنامه ها و... هستند. آزادی این رسانه ها موجب کنترل پذیر شدن سازمانها و موسسات دولتی توسط مردم می شود. لذا آزادی رسانه ها نقش بسیار مؤثری در کاهش فساد دولتی دارد. حدود و ثغور آزادی : آزادی یک نیاز انسانی است. انسانی می تواند توسعه و رشد تولیدات را در جامعه افزایش دهند که از آزادی های کافی بر خوردار باشند. در ضمن آزادی بیان باید بتواند، فساد دولتی را به حداقل برساند، اجرای این دو اصل باعث افزایش تولید و توسعه اقتصادی در جامعه می شود. ولی گاهی آزادی بیشتر موجب کاهش تولیدات و ایجاد خسارت به دیگران می شود. در اینجا آزادی را نمی‌توان از بین برد، بلکه آزادی را در چارچوب خودش قرار داد. مثلاً انسان آزاد نیاز دارد که با صدای بلند فریاد بکشد. فریاد کشیدن در یک کتابخانه موجب بهم خوردن آرامش فکر دیگران و تحمیل ضرر و زیان می شود. در اینجا،‌ فرد آزاد نیست که فریاد بکشد. ممنوعیت فریاد کشیدن نمی تواند بعنوان یک قانون در همه جا مطرح شود. چون جامعه برای فریاد کشیدن انسانها باید مکانی را مهیا کند. محیط باز و یا در کنار دریا می تواند برای فریاد کشیدن مناسب باشد. لذا انسانی که می خواهد فریاد بکشد، این آزادی را در محیط مناسبش انجام می دهد. پس قانون اول این است که در یک جامعه ،‌آزادی ها نباید ممنوع شود، بلکه آزادی ها در یک چارچوب خاص انجام گیرد. تعیین چارچوب خاص برای آزادی ها با توجه به مصلحت بین فرد و اجتماع، تعیین و تکلیف می شود. تعیین چارچوب برای آزادی هم باید هدفی داشته باشد. شاخص ترین هدف از چارچوب حدود و ثغور آزادی، افزایش تولید در جامعه و توسعه اقتصادی است. به عبارت دیگر اگر گسترش چارچوب یک آزادی موجب افزایش تولید شود. پس چارچوب آن آزادی گسترش می یابد. و یا اینکه ممکن است گسترش یک آزادی موجب کاهش تولید شود در این صورت چارچوب آن آزادی محدود تر می شود. در این الگو، کلیه آزادیهای مورد نیاز انسانها وجود دارد. هیچ آزادی حذف نمی شود. بلکه آزادی ها در چارچوب خاصی انجام می گیرد. تا تولید و خدمات جامعه افزایش یابد و توسعه اقتصادی محقق گرد. از طرف دیگر، آزادی ها نباید منجر به قتل و صدمه مالی و جانی به دیگران شود. اگر آزادی موجب،‌ضرر و زیان و صدمه مالی و جانی به دیگران شود، آن آزادی ممنوع نمی شود، بلکه آن آزادی در چارچوبی قرار می گیرد که موجب ضرر و زیان و صدمه مالی وجانی به دیگران نشود. مهمترین هدف ازادی بیان و تعیین چارچوب آن، کنترل دولت و مدیران دولتی است. بطور طبیعی کسانی که مدیریت کشور را بدست می گیرند، قدرتمند تر می شوند، افراد قدرتمند هم سعی می کند، منابع مالی بیشتری برای افزایش هر چه بیشتر قدرت خود کسب کنند. لذا بطور طبیعی هر مدیر دولتی سعی در جذب منابع مالی از دولت به نفع خود می کند. معمولاً مدیران دولتی جذب منابع مالی دولت را حق خود می دانند، در صورتیکه مردم منابع دولتی را متعلق به عموم مردم می دانند. وقتی آزادی بیان در جامعه حاکم شود، اولین مطالب عنوان شده از طرف مردم میزان حق و حقوق مدیران دولتی است. مردم حق وحقوق مدیران دولتی را مانند خودشان فرض می کنند. در صورتیکه مدیران دولتی حق و حقوق خودشان را بیش از آن مقداری که مردم فرض می کنند، در نظر می گیرند. در اینجا اولین مطلبی که از طرف مردم عنوان می شود، چسباندن، عنوان دزدی ، اختلاس، اموال باد آورده، حقوق نجومی و ...به مدیران دولتی است. از طرف مدیران دولتی هم مطالبی مانند، تهمت، تشویش اذهان عمومی، نقض امنیت عمومی ، خیانت به کشور، اراذل و اوباش وابسته به بیگانگان و ..... به مردم نسبت داده می شود. ادامه درگیری بین مردم و مدیران جامعه موجب کاهش امنیت فیزیکی و روانی در جامعه می شود. وضعیت جنگ و درگیری بین مردم و مدیران جامعه به ضرر همه افراد جامعه است. چون در این حالت هم مردم و هم مدیران ضرر می کنند. مدیران دیگر نمی توانند، منافعی که برای خود در نظر گرفته اند، ایفا کنند و مردم هم با هرج و مرج مواجه می شوند که نمی توانند از مال و جان خود دفاع کنند. لذا این وضعیت نا پایدار است. هر جوری شده این وضعیت باید خاتمه یابد. گاهی فشارهای مردمی افزایش می یابد و مدیران مجبور به ترک قدرت می شوند. مردم تصور می کنند اگر این گروه از مدیران رفتند و گروه دیگری بر سرکار آمدند، وضعیت بهتر می شود. در صورتیکه طبیعت هر انسانی، اقتضا می کند، وقتی مدیریت جامعه را بدست گرفت،‌ سعی در تثبیت و افزایش قدرت و ثروت خود، داشته باشد. با این پیش فرض، مدیر جدید هم مانند مدیر قبلی خواهد بود. یعنی او هم سعی در جذب منابع دولتی برای خود می کند. مدیر جدید هم مانند مدیر قبلی این دریافتی را حق و حقوق طبیعی خود می‌داند. مدیر جدید هم بجای اینکه منابع کشور را صرف توسعه اقتصادی و پیشرفت کشور کند، آنرا به نفع خود مصادره می کند. لذا دیده شده که انقلاب مردمی درکشورهای مختلف، نتیجه محسوسی برای مردم نداشته و توسعه اقتصادی در جامعه ایجاد نشده است. اگر مردم به دلایل مختلف نتوانند، فشارهای لازمه را برای تغییر مدیران وارد کنند در اینصورت دولت ها یا بطرف دیکتاتوری خودکامه متمایل می شود و یا حکومت در اختیار باندهای قدرت قرار می گیرد. دولتهای دیکتاتوری و یا جمهوری های در اختیار باندهای قدرت ، راه حل درگیری در جامعه را حذف آزادی بیان در کشور می دانند. دیکتاتورها و باندهای قدرت اجازه تأسیس و راه اندازی رسانه ها را محدود، مطالب عنوان شده در رسانه ها را کنترل می کنند، لذا فضای خفقان آوری بر جامعه حاکم می شود. محدودیت آزادی بیان و ایجاد فضای خفقان، بستن رسانه ها، کنترل های بی و حد و حصر دولت بر رسانه‌ها موجب افزایش فساد دولتی، عقب ماندگی و شورش های اجتماعی می شود. به عبارت دیگر مردم کشور های جهان سوم همیشه در یک دور باطل انقلابات و شورش های مردمی قرار می گیرند. شورش های مردمی،‌ انقلابات، اختلاس ها ، حقوق های نجومی و .... باعث می شود، کشور در یک بحران فزاینده فرو رود. ورود هر کشور به بحران فزاینده موجب می شود کشور هیچ گاه پیشرفتی نداشته باشد. نمونه آن کشور سومالی است که در بحران فزاینده ای فرو رفته و هیچ امیدی برای برون رفت از آن قابل تصور نیست. در نتیجه اگر کشوری یا مردمی به دنبال توسعه اقتصادی و پیشرفت هستند، به هیچ وجه نباید به دنبال انقلاب و شورش باشند. ایجاد شورش در هر سطحی به زیان جامعه تمام می شود. چون باعث می شود، دولت نتواند به درستی کار خود را انجام دهد، در ضمن کشورهای خارجی که معمولاً بر سر منابعی رقیب کشور هستند، کل منافع کشور را به نفع خود مصادره می کنند. به عبارت دیگر ایجاد شورش نه تنها موجب ضرر و زیان های زیادی برای کشور می شود. بلکه ممکن است کشور را به ورطه بحران های فزاینده هدایت کند که اصلاً به نفع کشور نیست. برای اینکه آزادی بیان کشور را به ورطه نا امنی سوق ندهد، آزادی بیان باید از اصولی پیروی کند که به شرح زیر است. اصل اول آزادی بیان: هیچ گاه آزادی بیان نباید به شورش و گلوله منجر شود. چون هیچ گاه توسعه اقتصادی از گلوله تفنگ خارج نمی شود. شورش ها و انقلابات موجب عقب افتادگی کشور می شود. هیچ کشوری نباید هوس انقلاب و شورش را به ذهن خود راه دهد. تفنگ فقط یک جا می تواند مورد استفاده قرار گیرد، آن هم اجرای قانون است. مردم هر جامعه ای از افراد تفنگ بدستش باید بخواهد که قانون را اجرا کند. همین و بس. هیچ کس حق ندارد با افراد تفنگ بدست جامعه درگیر شود. نه بصورت فیزیکی نه بصورت کلامی و نه بصورت رسانه ای. روی این موضوع در رسانه ها باید، بر اجرای قانون پافشاری شود و از افراد تفنگ بدست خواسته شود که قانون را بدرستی اجرا کنند. شاید گفته شود، تفنگ بدستان،‌ طرفدار حکومت و مجری قوانین حکومتی هستند،‌ لذا اگر بخواهیم قانون را اجرا کنند، وضعیت بدتر می شود. پاسخ این است که شاید در کوتاه مدت اینگونه باشد. ولی باید تفاوتی بین فرماندهان و افراد عادی نظامیان قائل شد. بطور معمول عموم نظامیان که فرمانده نیستند ، سعی می کنند، قانونی را اجرا کنند که منافع مردم در آن لحاظ شده باشد. ولی فرماندهان ممکن است طرفدار مدیران حکومتی باشند. ولی با یک احتمال تقریباً زیاد ممکن است، فرماندهان نظامی هم مانند، بقیه نظامیان طرفدار منافع ملی باشند و از هر مدیر حکومتی دفاع نکنند. این موضوع بصورت احتمالی بیان شد. نظر نگارنده این است که با احتمال قریب به یقین کلیه نظامیان کشورهای مختلف، حتی نظامیان در اختیار دیکتاتورها هم به منافع ملی فکر می کنند. لذا اگر در جایی موضوع منافع ملی باشد به آن کمک می کنند. البته این موضوع یک شرط دارد. عمده ترین شرط این است که مردم با نظامیان درگیر نشوند و نظامیان احتمال درگیری در جامعه را ندهند. چون وقتی مردم با نظامیان درگیر می شوند، نظامیان سعی می کنند از خود دفاع کنند، و پیروزی در جنگ و درگیری با کسی است که ابزار قدرتمندی دارد. ولی وقتی مردم با آنها درگیر نشوند، ولی منافع ملی را از حکومت در خواست کنند، در آن صورت،‌ به احتمال زیاد آنها هم با مردم همراه و همدل می شوند. مانند انقلاب مصر که نظامیان طرفدار مردم شدند. در ضمن نظامیان یک وظیفه ذاتی دارند، وظیفه ذاتی آنها ایجاد امنیت است. در بیان خواسته ها و آزادی بیان نباید به وظیفه ذاتی آنها خدشه ای وارد شود. چون اگر امنیت در جامعه خدشه دار شود، به نفع هیچ کس نخواهد بود. همه متضرر می شوند. لذا همه مردم باید در گفتار و رسانه ها، به نظامیان کمک کنند که امنیت در جامعه بصورت حداکثری برقرار شود. اصل دوم آزادی بیان : در همه حکومت های غیر توسعه ای مانند حکومت های دیکتاتوری و یا جمهوریهای در اختیار باندهای قدرت، مشکل اصلی نامناسب بودن قانون برای توسعه است. لذا آزادی بیان مردم باید با هدف تغییر و اصلاح قانون انجام گیرد. مردم باید درخواست کننده باشند و بر درخواست خود پافشاری کنند. اصل سوم آزادی بیان: اولین قانونی که باید مردم درخواست کنند، قانون میزان حقوق و دریافتی مدیران مختلف است. مردم باید از مسئولین خود بخواهند، میزان حقوق و دریافتی مدیران مختلف را بطور قانونی تصویب و آنرا به اطلاع عموم برسانند. اصل چهارم آزادی بیان: دومین قانون درخواستی مردم، شفافیت مدیران دولتی است. به عبارت دیگر مدیران دولتی باید دریافتی و هزینه های زندگی خود را بصورت شفاف به اطلاع مردم برسانند. در اینصورت مردم قادر خواهند بود، میزان دریافتی قانونی و غیر قانونی مدیران را تشخیص دهند. اصل پنجم آزادی بیان: رسانه ها و مردم، باید خواسته های خود را بگونه ای عنوان کنند که همیشه در پشت میز قانون روی صندلی قاضی و دادستان بنشینند. به عبارت دیگر آزادی بیان باید بر انجام قانون پافشاری کنند. و هیچ گاه نباید خواسته های خود را بگونه ای عنوان کنند که در مقابل میز قانون و روی صندلی متهم قرار گیرند. اصل ششم آزادی بیان: قانون و برنامه های اجرایی مدیران را مورد نقد و بررسی قرار دهند. جمع بندی : اگر مردم کشوری این شش اصل را اجرا کنند، هر نوع حکومتی که داشته باشند، گامی بطرف جلو برداشته‌اند. فرض کنیم یک حکومت دیکتاتوری پادشاهی وجود دارد. وقتی این شش اصل در آزادی بیان اجرا شود. این حکومت به یک حکومت مشروطه تبدیل می شود. اگر حکومت یک جمهوری در اختیار باندهای قدرت باشد، به یک جمهوری مردمی تبدیل می شود. با این روش هر دولتی به یک دولت توسعه خواه تبدیل می شود. در انتها برای اینکه این شش اصل در آزادی بیان به درستی اجرا شود،‌ پیشنهاد می شود: برای نقد عملکرد مسئولین دولتی، مکان و چارچوب خاصی قائل شوند. یکی از مکانهای نقد عملکرد دولت، احزاب و رسانه ها هستند. هر فردی که نسبت به عملکرد مسئولی انتقاد دارد و یا اینکه فساد دولتی را مشاهده کرده است، به احزاب مراجعه می کند. در احزاب معمولاً افراد مختلفی جمع شده اند. آنها با شنیدن مطالب،‌ سعی می کنند، این مطالب را بگونه ای که شش اصل فوق رعایت شود عنوان کنند. از این طریق کلیه نقد ها و تخلفات در جامعه پخش می شود و موجب کاهش امنیت در جامعه هم نمی شود. اگر کشوری یا جامعه ای بخواهد آزادی بیان خود را حفظ کند چاره ای جز، تشکیل احزاب قدرتمند و رسانه های قوی ندارد. مهمترین نشانه وجود آزادی بیان، احزاب قدرتمند ، رسانه های قوی و کاهش فساد دولتی است. در هر جامعه ای که فساد دولتی کم باشد، معلوم است که مردم آزادی بیان دارند، احزاب قدرتمند هستند و رسانه ها قوی هستند. شاخص آزادی بیان با شاخص فساد دولتی بصورت معکوس حرکت می کند. در جایی که فساد دولتی زیاد باشد، رسانه ها ضعیف و بی هویت و مردم از ابتدایی ترین حق آزادی بیان محروم هستند. جامعه ای که ، مدیران دولتی به راحتی بودجه عمومی کشور را به نفع خود مصادره می‌کنند، خفقان گرفته است. وضعیت اقتصادی کشور ایران بگونه است که همه افراد هشتشان گروی نه است. و هیچ کس را پیدا نمی کنید. که وضع درست و درمانی داشته باشد. این موضوع ربطی به مقدار ثروت افراد و خانواده ها ندارد. هر چه ثروت بیشتر هم باشد باز این مسئله سر جای خودش هست. اما یک چیز برای ما محرز شده است . اگر این سطحی گری را نپذیریم و نخواهیم آنرا با عقل جمعی حل کنیم. چه بخواهیم و چه نخواهیم در یک جامعه متعفن و منحط قرار گرفته ایم . بنظر می رسد، دو عامل به نام اسلام و خود شیفتگی قومی در ایرانیان بصورت تخریبی و غیر عقلایی مهمترین عامل انحطاط اجتماعی، فرهنگی و اقتصادی شده باشد. این دو عامل در بیشتر حوزه ها باعث عقل گریزی و استدالال گریزی ایرانیان شده است. این امر باعث شده ، ‌ انسان ایرانی،‌موضوعاتی در جامعه خود نهادینه و به فرهنگ تبدیل کند که در ماوراء آن هیچ گونه استدلال و عقلی وجود نداشته باشد. بطور مثال در حال حاضر حدود 20 هزار نفر زندانی در کشور وجود دارد. جرم این زندانیان عدم توانایی پرداخت مهریه همسران طلاق گرفته است. همانطور که می دانیم، عدم توانایی در پرداخت مهریه در هیچ جای دنیا و در اسلام، بعنوان جرم شناخته نمی شود و در هیچ کجای دنیا کسی را برای ناتوانی در پرداخت مهریه به زندان نمی برند. ولی در کشور ما این موضوع جرم و عده ای برای این جرم به زندان می روند. پدیده های این شکلی به وفور در جامعه قابل مشاهده است. حضور ، و ظهور اینگونه مسائل باعث انحطاط کشور شده و می شود. شاید کسی بگوید، این موضوعات نه ربطی به اسلام دارد و نه ربطی به قومیت ایرانی دارد. در پاسخ باید گفت: شاید اینگونه باشد. و این گزاره های فرهنگی هیچ ربطی به اسلام و قوم ایرانی نداشته باشد، ولی در حال حاضر این موضوعات خودش را بگونه ای با اسلام و قومیت ایرانی چسبانده است. اگر این موضوع ربطی به اسلام ندارد، یک روحانی که در مصدر قضاوت نشسته است. نباید حکم به زندان شدن فردی کند که در پرداخت مهریه ناتوان است. در صورتیکه همه زندانیان با حکم یک قاضی که اتفاقاً لباس روحانی به تن دارد و کتابی هم جز متون اسلامی نخوانده است. به زندان می روند. مثال های دیگری را هم می توان آورد. مثلاً این داعش از کجا پیدا شده است؟ البته می توانیم چشممان را ببنديم و مانند دايى جان ناپلىونى، صد سال بگوييم کار انگليسى هاست. در صورتیکه یک انگلیسی به راحتی می تواند اثبات کند که افکار داعش قبل از اینکه کشور انگلیس بوجود آید نیز وجود داشته است. چون بنیان فکری داعش همان افکار خوارج صدر اسلام است. آن موقع دیگر جوابی نداریم. اگر راه حلی براي این بی فکرها و انحطاط ها اتخاذ نشود، افکار پوسیده و منحط مانند داعش همیشه می تواند در جامعه باز تولید شود. پس مشکل کشور ما اصولاً از افکار منحط خود ما سر چشمه گرفته است. نباید ریشه مشکلات خود را در خارج از کشور جسجو کنیم. اگر هشتمان گرو نه است،‌ بخاطر حاکمیت یکسری افکار پوسیده ای است که خودش را به نوعی به اسلام چسبانده است. در ضمن در پس یا وراء هیچ کدام از این پدیده ها، افکار، استدلال و منطقی وجود ندارد. در ضمن مهمترین علت اسلام گريزى جوان هاى ما نیز، گزاره ها و باورهاىی هستند که خودشان را در متن دین اسلام جای داده اند. لذا عامل اصلى در دين گريزى جوان ها و انحطاط جامعه اسلامی،‌ نه آخوند است و نه شبيخون فرهنگى غرب. بلکه عامل اصلى، گزاره ها و باورهايى است که يا دليل ندارد يا دليل نقض دارد يا مبهم و مجمل است و به ده ها تفسير تن مى دهد؛ جهنم و مار و عقرب و جن و غلمان و حورى و و خداى سخنگو و شلاق و سنگسار همه موضوعاتی است که نمی توان برای آن استدلال منطقی و خرد گرایانه ای برای آن دست و پا کرد. در نتیجه دنیای جدید که بیشتر با بسط استدلال گرایی ملازم است، نمی تواند از چنین گزاره هایی دفاع کند. برای خروج از انحطاط فرهنگی و جایگزینی فرهنگ پویا نیاز به پالایش افکار و عقاید خرافی است. اگر عقاید خرافی را از جامعه خارج کنیم دیگر کسی هشتش گروه نه نخواهد بود. لذا ‌نگاه ها باید به درون جامعه برگردد. در کشور ما، صدسال است بدنبال علل مشکلات در غرب هستيم و نيز دنبال بازگشت به خويشتن!!! به جاى نقد خويشتن، يک خويشتن پوسيده و متعفن و تکرار خرافات و اوهام اتخاذ شده است. هنوز بدنبال گرفتن انتقام خون امام حسين ايم!! و گرفتن حق خلافت حضرت على!!! در صورتیکه اینها در یک تاریخ بدون بازگشت اتفاق افتاده و نمی توان تغییری در آن ایجاد کرد. هر چه بوده همان است که اتفاق افتاده است. اگر ناظران مختلف ، تاریخ را بگونه ای متفاوتی توصیف کرده اند، این یک امر طبیعی است . چون هر انسانی بنا بر مقتضیات و منافعی که آن حادثه نصیبش می کند، ‌اتفاقات را بگونه ای متفاوت توصیف می کند. در این مورد هم نمی توان تغییری ایجاد داد. هر چه بوده تمام شده است. تاریخ را با هر زاویه ای مطالعه کنیم. و مشاهدات هر ناظر تاریخی را مطالعه کنیم. فقط یک کار می توانیم انجام دهیم. اگر تجربه مثبتی انجام گرفته، سعی کنیم آن تجربه مثبت را در حال حاضر بگونه ای تکرار کنیم و اگر تجربه منفی انجام گرفته است، دیگر آنرا تکرار نکنیم. اگر مطلبی را یک ناظر تاریخی بگونه ای نوشته است که برای حال حاضر هیچ اثری ندارد، آنرا در گوشه ای رها، و از کنارش گذشت. اى کاش مسلمان ها به اين بصيرت مى رسيدند که در ايام عزادارى هاى مذهبى، به حال خودشان گريه کنند. مسلمانان باید برای حاکمیت افکار پوسیده ای گریه کنند، که در حال نابودی تارو و پود تمامی زندگی شان شده است. که این مورد گریه هم دارد. البته اين استدلال گريزى که با دين پيوند خورده، به جهت سيطره دين بر افکار جامعه ، به فرهنگ تبدیل و در تارو پود جامعه وارد شده است. از طرفی پاسخ های دين، به پدیده های اجتماعی جزمى و قطعى است. این موضوع با بسط پرسش گرى و نقادى راستين سازگار نيست. بسط استدلال گريزى در فرهنگ ما با دين مرتبط و با آن تقويت مى شود، این موضع حتی در میان کسانی که به ظاهر از دين بريده اند، نیز بروز و ظهور دارد. به عبارت دیگر هنوز اين عنصر ريشه دار ( استدلال گريزى)، از ضمير دین گریزان ما پاک نشده است. کافی است نگاهی به بازار شایعات کنید. این شایعات از طرف بنگاههای خبر پراکنی غربی و تحصیلکرده های ایرانی در خارج از کشور هم دیده می شود. در يک جامعه خردگرا نباید، بازار شايعه تا این حد داغ باشد؛ لذا اين معضل، مربوط به اصول گراهاى مذهبى نيست. اصلاح طلب هاى مذهبى و غير مذهبى هم به آن مبتلا هستند. وقتی ما می توانیم از این مخمصه خود را بیرون بکشیم که اولاً همه کارها با خرد و استدلال انجام گیرد، شایعات به گوشه ای رانده شوند، دین اسلام اگر حرفی در این دنیای جدید دارد،‌ آنرا وسط میدان بگذارد و اگر ندارد،‌ در گوشه ای بماند. این غیر قابل تصور است که عده ای اختلاس از بیت المال را حق مسلم خود بدانند و آنرا توجیه شرعی کنند. این موضع در هیچ دینی و در هیچ اجتماعی پذیرفته نیست. کسی باید تریبون را در دست بگیرد که حرفی برای گفتن داشته باشد. اگر کسی حرفی برای گفتن ندارد، نباید پای حرفهای او نشست. این یک ظلم بزرگ است. عده ای دائم حرفهای چرت و پرت می گویند، و عده ای هم دور او جمع می شوند. دین اسلام شامل دو قسمت است. این دو قسمت باید تکلیف خود را با انسان خرد گرا و استدلال گرای امروزی حل و فصل کند. یک قسمت کتاب قرآن کریم است. این کتاب دارای تفسیر و تأویل های مختلفی است. دیگری سیره پیامبر اکرم (ص) است. سیره پیامبر اکرم (ص) یک واقعه تاریخی است. پدیده های تاریخی همیشه با هدف بکارگیری تجربه و تطبیق آن با شرایط حال مطالعه می شوند. اگر آن تجربه تاریخی حرفی برای گفتن داشته باشد،‌ آن تجربه بکار گرفته می شود. در غیر اینصورت رها می شود. 1- اخذ مالیات کمتر از مردم توسط دولتها و مراعات حداقل معیشت مردم. در زمان پیامبر اکرم (ص) بیشتر فعالیت ها کشاورزی بوده است. در این زمان محصول بدست آمده بین عوامل نیروی کار، آب ، ماشین آلات،‌بذر و زمین تقسیم می شده است. معمولاً همه زمین ها و آب ها متعلق به حکومت بوده است. لذا حکومت ها حدوداً 20 تا 40 درصد از کشاورزان مالیات می گرفتند. در صورتیکه زکات در اسلام تا یک حد نصاب که مربوط به معیشت افراد است،‌معاف از مالیات و از ما بقی آن 10 درصد گرفته می شده است. مالیات بازرگانان و رزمندگان خمس بوده که 20 درصد سود خالص بوده است. 2- مراعات حقوق بشر بصورت حداکثری : در حکومت 10 ساله پیامبر اکرم (ص) کسی به زندان نرفت، کسی کتک نخورد، کسی شلاق نخورد، آبرو و حیثیت کسی ریخته نشد. به کسی حد زده نشد. کسی از گرسنگی به رنج و زحمت نیافتاد، کسی بی خانه و بی کاشانه نبود. حداقل معیشت برای همه فراهم شد. 3- اداره حکومت با هزینه کمتر : در اسلام فرماندهان و مسئولین حکومتی به قصد خدمت و رضای خداوند مسئولیت ها اجتماعی را می پذیرفتند و برای انجام آن کار معمولاً کمترین مزد را دریافت می کردند. این موضوع در حکومت پیامبر اکرم (ص) ، خلفای راشدین بصورت حداکثری رعایت شد. در ضمن عمده جنگهای حضرت علی (ع) بخاطر عدم دست اندازی مسئولان حکومتی به بیت المال بوده است . 4- انتخابی بودن حکومت ها و حق تعیین حاکم توسط مردم. پیامبر اکرم (ص) و خلفای راشدین با بیعت مردم ، حکومت را بدست گرفتند . در ضمن در یک خطبه بصورت صریح حضرت علی (ع) انتخابی بودن حکومت را حق مردم می داند. در ضمن وقتی به خلیفه دوم پیشنهاد کردند که حکومت بعد از ایشان موروثی و به فرزندش عبدالله ابن عمر برسد. ایشان با این موضوع مخالفت کرد. و تعیین حکومت را ابتدا توسط نخبگان و سپس به رأی مردم واگذار کرد. موارد دیگری را هم می توان اضافه کرد. که در اینجا باعث طولانی شدن مطلب می شود. لذا گزاره هایی مانند، اختلاس ، دست برد به بیت المال و حقوق های نجومی را نمی توان با اسلام جمع کرد. اگر چنین اتفاقاتی رخ داد. باید سریع با آن برخورد شود. در غیر اینصورت تابلوی اسلام و دین را از بالای سر خود پایین بیاورند. بانکداری با سود های دو رقمی و بالای 20 درصدی با هیچ کجای دین اسلام هم خوانی ندارد. نمی شود. قوانینی را به مدت 37 سال دست نخورده به مردم تحمیل کرد. اگر دین اسلام برای بانکداری، تحربه ای دارد ، آنرا ارائه کند. نتیجه کار باید سود بانکی باشد که کمتر از سود بانکی در سایر کشورها است. اگر قانون باعث سود بیشتر می شود سریع باید کنار گذاشته شود. نباید با آن مماشات شود. اگر دین اسلام تجربه موفقی در زمینه بانکداری ندارد، آنرا رها کند. اعمال بانکداری اسلامی را به زمانی که توانستند، قوانین درستی را تدوین کنند، موکول کنند. تا بانکها بصورت عقلی اداره شوند. اداره عقلی بانکها باعث می شود،‌سود بانکی در ایران هم مانند کشورهای دیگر شود. در ضمن پیام اصلی امام حسین (ع) برای جامعه امروزی یک چیز است. ایشان می گفت که با یک نفر که فاسد است بیعت نمی کند. در دنیای امروزی می تواند به این تفسیر شود که نباید به یک انسان فاسد رأی داد. در جامعه امروزی،‌پیروی کردن از امام حسین (ع) یعنی رأی ندادن به کسی که فاسد است. اگر کسی فاسد است یعنی اختلاس می کند ، حقوق نجومی می گیرد،‌و از موقعیت خودش سؤ ء استفاده می کند نباید به او رأی بدهند و اگر رأی هم دادند، رأیشان را پس بگیرند. پیروی کردن از حضرت علی (ع) هم یعنی ، ایجاد عدالت در جامعه ، اگر در جامعه عدالت وجود نداشته باشد، پیروی از حضرت علی (ع) بی معنی است. در جامعه ای که منتخب مردم، حقوق نجومی و اختلاس را حق مسلم خود می داند،‌ پیروی کردن از امام حسین (ع) هم بی معنی است. اگر هم شفاعت در دنیای پس از مرگ درست باشد، بطور قطع شفاعت حضرت علی (ع) و امام حسین (ع) نصیب کسانی که عدالت را استوار نمی کنند و در جامعه اختلاس و حقوق نجومی وجود دارد نمی رسد. شاید این مشاهده یک طنز تلخ یا یک جوک مسخره باشد. فردی خود را پیرو امام حسین (ع) بداند و ایشان به کسی رأی دهد که هم اختلاس می کند ، هم حقوق نجومی می گیرد و هم به بیت المال دست درازی می کند. این کارها قطعا موجب تخریب اقتصاد جامعه می شود . در چنین جامعه ای انتظار بهبود اقتصادی ، گسترش اشتغال و ... خیالی خام و یک پندار موهم بشمار می رود. حالا این شخص بیاید و برای امام حسین (ع) گریه کند و از امام حسین (ع) بخواهد که مشکلات معیشتش را حل کند. این یک فرهنگ تخریبی است که خودش را به دین چسبانده و مردم هشتشان گرو نه است. پیام تاریخی امام حسین (ع) عدم انتخاب و رأی دادن به فاسد بوده است. حالا در جامعه امروزی یک نفر به فاسد رأی داده و فاسد کل زندگی اش را خراب کرده است. در اینجا توقع شفاعت در دنیای پس از مرگ و اجابت دعا برای سرو سامان یافتن زندگی اقتصادی ،‌ بی جا و بی مورد است. یادم میاد وقتی که سر کلاس می‌خواستم بالغ شدن رو تعریف کنم همیشه یک تعریف به ذهنم می‌رسید: اینکه انسان چقدر می‌تواند برآورده شدن خواسته‌های خودش رو به تاخیر بيندازد. (این مفهوم در ادبیات علمی تحت عنوان Delayed Gratification مورد بحث قرار می‌ گيرد). بطور مثال نوزادی که تازه متولد می‌شود، تحت هیچ شرایطی نمی‌تواند. فاصله بین احساس نیاز و برآورده شدن نیاز رو تحمل کند. به تدریج در سن دو سه سالگی این فاصله زماني بيشتر مي شود. وقتی مادري به فرزند دو يا سه ساله اش می گويد: «ادارم ناهار درست می‌کنم، چند دقیقه صبر کن تا ناهار درست شود» فرزندش هم سکوت میکند و منتظرمی ماند. این فاصله تحمل چند دقیقه‌ای در دوران دبستان به چند ساعت تبدیل می‌شود. حالا از لحظه‌ای که وارد مدرسه می‌شویم می‌نشینیم و منتظر می‌مانیم تا این چند ساعت لعنتی تمام بشود و دوباره به دامن زندگی برگردیم! این چند ساعت به تدریج به چند سال تبدیل می‌شود. نزدیک کنکور می‌گویيم این یکی دو سال را درس می‌خوانيم. تا بعد که وارد دانشگاه شديم، زندگی راحتي داشته باشيم. این مسئله به همین شکل ادامه پیدا می‌کند. دنیا (چه در حوزه کسب و کار و چه در حوزه زندگی) مکانیزم‌های زیادی دارد که تاخیر آفرین هستند. بسیاری از رویدادها به زمان نیاز دارند. بسیاری از تغییرات به زمان نیاز دارند. بسیاری از اتفاقات به زمان نیاز دارند. اگر می‌خواهیم در محیط خود تاثیرگذار باشیم و جایگاه مناسبی پیدا کنیم باید میزان تاخیر‌های محیط رو بفهمیم و متناسب با آن رفتار کنیم و تصمیم بگیریم. کسانی که عجولانه در انتظار پاسخ‌های سریع هستند، چه در زندگی شخصی و چه در محیط كسب و كار فساد ایجاد می‌کنند. البته طبیعتاً در آن سوی طیف هم کسانی هستند كه حاضرند یک عمر برای رویدادها منتظر بمانند ولي هيچ گاه به انتظارشان نمي رسند. به اين ضرب المثل توجه كنيد. گر صبر کنی ز غوره حلوا سازی . حالا اگر چند سال منتظر ماندیم و ديديدم كه از غوره‌ چنان حلوایی درست نمي شود. خوش‌بینانه و ساده‌اندیشانه منتظر نمي شويم. در اين صورت راهکار دیگری را برای حلواسازی جستجو مي کنیم! در اینجا ما به یک هنر خیلی پیچیده نیاز داریم و آن تشخیص زمان مناسب و انتظار کشیدن فعال برای رسیدن به آن زمان است..
تشخیص زمان مناسب: با يك مثال شروع مي كنيم. یک زن برای فرزنددار شدن به ۹ ماه زمان نیاز دارد. نمی‌توانیم با کمک همزمان ۹ زن در یک ماه یک بچه ایجاد کنیم! شکل مدرنش میشود : اگر من با ۱۰ تا بیلبورد در یک ماه می‌توانم ۱۰% افزایش فروش ایجاد کنم معنای این مسئله این نیست که می‌تونم با ۴۰ تا بیلبورد در یک هفته به همون ۱۰% برسم یا بدتر از آن با ۲۸۰ تا بیلبورد در یک روز به همان نتیجه دست پیدا کنم. شاید به نظرتان این حرف بدیهی جلوه كند. اما نگاهی به اطراف بيندازید ببینید که چقدر از انسانهای اطراف ما چه در محیط کار و چه در زندگی در حال تلاش بر اساس همین تئوری ۹ زن و یک بچه هستند! يك مثال فردي مي تواند اين باشد كه فردي به يكباره صاحب پول و ثروتي شده است. شايد اولين كار نابخردانه اش اين باشد كه همسر اولش را طلاق دهد و همسر جديدي بگيرد. كه اين امر موجب درگيري و جنگ و دعواي خانوادگي مي شود. ويا در بعد كشوري ، مي توان به كشورهاي هلند، نروژ ، فنلاند و كشور ايران اشاره كرد. همه اين كشورها داراي ثروت طبيعي به نام نفت هستند. در كشورهاي هلند ، نروژ و فنلاند، تغييرات قيمت نفت ، اثري بر رفاه جامعه ندارد. ولي در كشور ايران اگر قيمت نفت بالا برود، مردم يك جور مشكل دارند و اگر قيمت نفت كاهش يابد، مشكلات مردم تغيير مي كندو يكجور ديگر مي شود. تنها اختلاف كشور ايران با آن سه كشور اروپايي اين است كه آنها از نظر مديريتي مي توانند يك ثروت طبيعي را تحمل كنند ولي در كشور ما از نظر ذهنيتي نتوانسته ايم اين ثروت را مديريت كنيم. عدم پذيرش ذهنيت در باره ثروت نفت دركشور ليبي ، باعث شده كه اين مردم اين كشور بجان يكديگر بيافتند و يكديگر را قتل عام كنند. بدیهی است که مترها و معیارهای زمان و تاخیر در فضاهای مختلف با هم متفاوت هستند. به عنوان مثال تاخیر در فضای آنلاین و دیجیتال کمتر از فضای فیزیکی است. اگر در کسب و کار فیزیکی بعد از سه سال هنوز رونق خیلی زیادي نداشته باشیم ممکن است، هنوز با صبر کردن به نتایج خیلی خوب برسیم. اما در فضای آنلاین ممکن است، در چند ماه بشود در مورد سرنوشت یک کسب و کار نتیجه گیری کرد. در همان فضای فیزیکی هم زمان برای یک سوپرمارکت سریع‌تر می‌گذرد تا یک شرکت تولیدکننده محصولات پتروشیمی. مثال اول – راه اندازی کارخانجات و شرکت‌ها: مستقل از اینکه در مورد چه صنعتی صحبت می‌کنیم به نظر می‌رسد کارخانجات و شرکت‌های بزرگ رو می شود به دو دسته کلی تقسیم کرد. آنهایی که به صورت طبیعی زاییده و متولد شده‌اند و رشد ارگانیک دارند و آنهایی که با فشار دولت‌ها یا سرمایه‌گذاران بزرگ خصوصی به صورت ناگهانی متولد شده‌اند و رشد مکانیکی رو تجربه می‌کنند. اولی مثل کاشتن یک دانه می‌ماند که در ابتدا رشد کندی دارد اما بعد از یه مدت با سرعت بسیار زیاد رشد می‌کند و بزرگ می‌شود. دومی شبیه این می‌ماند که بخواهیم با زور و فشار و حمایت مالی و استفاده از روابط، یک درخت کاج بزرگ رو همین الان بگیریم و به زور در یک گلدان فرو کنیم! شرکت‌های بزرگ و موفق در ایران و جهان عموماً رشد ارگانیک داشته‌اند و دارند. از یک نطفه کوچک شروع شده‌اند. به تدریج رشد کرده‌اند. بزرگتر و قدرتمندتر شده‌اند. محیط را به تدریج شناخته‌آند و محیط هم آنها را شناخته. از درون هم توسعه پیدا کرده‌اند و در نهایت، امروز قامت رعنایی دارند و علف‌های هرزی که در اطراف آنها یا به حمایت آنها یا به تقلید از آنها روییده‌اند به سایه بلند آنها رشک می‌برند. حتی شرکت‌هایی مانند گوگل و فیس بوک هم که ما امروز آنها را سمبل رشد لحظه‌ای و ناگهانی می‌دانیم چنین نیستند و در استاندارد متعارف فضای وب، زمان نسبتاً طولانی را انتظار کشیده‌اند تا به موقعیت امروزی خود برسند. اما شرکت‌های دیگری هم وجود دارند که به صورت ناگهانی با اراده دولت‌ها خلق شده‌اند. یا سرمایه‌گذاران بزرگ که از صبر و حوصله بی‌بهره بوده‌اند به صورت ناگهانی آنها را خلق کرده‌اند. سرمایه‌گذارانی که فکرمی‌کردند نوزاد فیل از روز اول باید در قد و قواره یک فیل بزرگ باشد و فراموش کردند که آن نوزاد فیل هم مدت‌ها به زندگی سلولی خود در رحم مادر مشغول بوده و به تدریج رشد کرده است. این شرکت‌ها دقیقاً مثل بچه‌های خانواده‌های پولداری هستند که پدر و مادر بی حساب و کتاب آنها را غرق منابع کرده‌اند (البته معدود خانواده‌های ثروتمندی را می‌شناسم که این چنین نیستند). اگر رشد کنند که ادعا می‌کنند همه چیز حاصل زحمت و لیاقت خودشان بوده و اگر شکست بخورند و دچار مشکل بشوند، همیشه گلایه‌ای از والدین دارند که در لحظات حساس از آنها حمایت نکرده و مانع رشدشان شده! گاهی هم از محیط و مردم گله مند می‌شوند که لیاقت و شایستگی آنها را ندارند! حتی در بزرگترین کارخانه‌های صنعتی که مقیاس تولید مهم و حیاتی است، همیشه راه اندازی به صورت فاز به فاز و با بخشی از ظرفیت اسمی آغاز می‌شود. به تدریج که کارخانه خودش را پیدا کرد و شناخت و کارکنان محیط را شناختند و مشتریان کارخانه را شناختند و روابط اقتصادی و حقوقی و اجتماعی شکل گرفت و زیرساخت‌ها فراهم شد، فازهای دوم و سوم و … راه اندازی می‌شوند. مثال دوم – ایجاد برندآگاهی یا Brand Awareness: اگر من امروز دستمال کاغذی شعبانکس (مثلاً بر وزن کلینکس) رو تولید کنم و ظرف مدت چند روز تمام کشور را با تبلیغات خودم اشباع کنم، نمی‌توانم انتظار داشته باشم که همه مردم شعبانکس در دست بگیرند. مواجهه زیاد و گسترده با یک برند در یک مدت زمانی کوتاه، حتی به فرض اینکه هجوم مقطعی مشتریان را ایجاد کند اعتماد بلندمدت آنها را جلب نخواهد کرد. یکی از مهم‌ترین شاخص‌هایی که در این شرایط مورد توجه قرار می‌دهند نرخ Conversion است. اگر من اسمم را به گوش ده میلیون نفر برسانم و امروز ده هزار نفر از دستمال کاغذی شعبانکس استفاده کنند که هنرنیست. پایدار هم نیست. پس فردا که بخواهم ظرفیت کارخانه‌ام را برای تامین صدهزار مشتری توسعه دهم نیازمند صد میلیون مخاطب هستم و چاره‌ای ندارم که دل به زاد و ولد مردم خوش کنم. هنر این است که اگر یک میلیون نفر برند من را شناختند و من می‌دانم که بخش قابل توجهی از آنها از دستمال کاغذی استفاده می‌کنند بتوانم چند صد هزار نفر از آنها را به تدریج به مشتری خود تبدیل کنم. البته می‌دانم که الان عده‌ای می‌گویند که تبلیغات گسترده و هجمه حجیم ما فشار اولیه است و کمی که کار رشد کرد خودش به رشد خودش کمک می‌کند. اما کافی است به روند این شرکت‌ها نگاه کنید و ببینید به کجا می‌رسند. متاسفانه آنقدر در این شرکت‌ها دوست و آشنا دارم که نتوانم اسم ببرم. اما مطمئنم مثال‌های زیادی در ذهن دارید. پیتر دراکر در کتاب مدیریت آینده می‌گوید شرکت‌هایی که از صندوق‌های بازنشستگی و تامین اجتماعی تغذیه می‌شوند بیش از سایر شرکت‌ها در معرض چنین خطراتی هستند. دلیلش هم مشخص است. چون این صندوق‌ها می‌خواهند از نخستین روز فیل بزایند و حاصلش یک بزغاله‌ گیج و ناتوانی می‌شود که هر روز باید دولتها با کمک قانون و مقررات مراقب باشند که این حیوان ضعیف و نحیف که البته به اندازه فیل خورده است و به اندازه مورچه هم توان ندارد، زیر دست و پای فیل‌های دیگر له نشود. مثال سوم – کسب و کارهای آنلاین: باز هم نمی‌خواهم مثال بزنم. اما به برخی از کسب و کارهای آنلاین نگاه کنید. از آنهایی که مجله های تصویری می‌سازند تا آنها که سیستم‌های فروش گسترده طراحی می‌کنند. یا با وایبر و سیستم‌های مشابه خودشان را در چشم و گوش مردم فرو می‌کنند (دقیقاً اصطلاح همین است) و بعد هم به هیچ روشی به تو اجازه رهایی نمی‌دهند. به یکی از آنها متاسفانه از دوستان هم بود و از همه جا سرقت می‌کرد و با وایبر به زور خودش را به مردم تحمیل می‌کرد هم به صورت مستقیم گفتم و هم در قالب مطلب سایتهای تشنه کلیک. گفت ما بزرگترین رسانه ایرانیم و می‌دانیم چه می‌کنیم. امروز باید رتبه آنها را ببینید و متوجه شوید که رتبه دو رقمی الکسا دولت مستعجل بود و امروز با رتبه چهار رقمی باید در آرزوی یک نفر به شتابزدگی و سطحی نگری خودشان بنشینند تا شاید درآمدی از تبلیغ کسب کنند. مثال دیگری هم دارم که متاسفانه به آنها هم تذکر دادم که این حق دریافت کننده ایمیل است که در پایین ایمیل به او اجازه بدهید آدرسش را از فهرست شما حذف کند. اما آنها اصرار دارند که (به قول پاشایی مرحوم) این جاده، یک طرفه است و کسی که یک بار به تور ما گرفتار شد باید تا ابد در آن دست و پا بزند. اولین چیزی که باید بپذیریم این است که به هر حال انتهای چنین نموداری افقی است. هیچ انسانی و هیچ کسب و کاری، لوبیای سحرآمیز نیست که تا ابد رشد کند و متوقف نشود. محیط همیشه اشباع می‌شود. لبریز می‌شود. اقناع می‌شود. زمین ظرفیت مشخصی دارد. بازار یک محصول در یک کشور سقف مشخصی دارد. حجم یک انسان یا تعداد سلول‌های یک گیاه در یک نقطه متوقف می‌شود و دیگر تغییر جدی نمی‌کند. البته هنر ما به عنوان یک فرد و به عنوان مدیر در یک کسب و کار این است که با اقدام‌های جدید و حرکت‌های جدید، دوباره فضای بزرگتری را برای رشد ایجاد کنیم و درواقع منحنی دیگری را بر روی منحنی اول سوار کنیم. شاید مراقبت‌هایی که از کره زمین انجام می‌دهیم، شاید تغییر سبک زندگی انسانها و شاید سفر به کره‌های دیگر، دوباره منحنی دیگری را بر روی منحنی فعلی جمعیت انسانها سوار کند (شاید هم جنگ یا بیماری، کره زمین را خلوت‌تر کند و دوباره مجبور بشویم این منحنی را از میانه‌ها یا از ابتدای آن طی کنیم). شرکتی که به صادرات فکر می‌کند، به عرضه محصولات جدید فکر می‌کند، بازارهای جدید را جستجو می‌کند و یا می‌سازد در تلاش برای رهایی از قسمت افقی این منحنی است. اما به هر حال، بحث من الان در مورد قسمت افقی انتهایی نیست. در مورد قسمت ابتدایی است. رشدی که ما برای خودمان یا کسب و کارمان در نظر می‌گیریم یا با الگوی مکانیکی خواهد بود و یا با الگوی ارگانیک. در شکل ارگانیک درست مثل تولد و رشد یک انسان، در ابتدا روند کند است و بعد شدت می‌گیرد. در رشد مکانیکی رشد حبابگونه را می‌بینیم. در ابتدا رشد سریع است و بعد کند و متوقف می‌شود. آنهایی که صبر را به رسمیت نمی‌شناسند و قبول ندارند، در ذهن خود یک رویای مکانیکی از رشد را شکل داده‌اند. رویایی که هرگز به سرانجام نمی‌رسد. اینکه ما در ابتدا با فشار مکانیکی رشد را ایجاد کنیم و بعد بخواهیم در اواسط و انتهای مسیر هم مشابه یک سیستم ارگانیک رشد کند! مثال چهارم – حضور در شبکه‌های اجتماعی: چند روز پیش در اینستاگرام یک اکانت را دیدم که به جد می‌توانم بگویم مدیر آن بهره‌ چندانی از شعور نبرده بود! در همه جا و زیر صفحه همه تبلیغ می‌کرد که از صفحه ما بازدید کنید. ما فلان کاره هستیم و ما این کار را می‌کنیم و آن کار را می‌کنیم و ما چنین هستیم و ما چنان هستیم. به صفحه‌اش سر زدم دیدم که سه تا عکس گذاشته و صفحه دیروز شروع به کار کرده! با خودم فکر کردم که انسان نفهم! تو مگر چند بار می‌توانی مخاطب را به این صفحه بیاوری که الان این کار را می‌کنی و او را می‌سوزانی. حداقل صد عکس بگذار. یک محتوایی ایجاد کن. بعد به سراغ دیگران برو و از آنها برای بازدید صفحه‌ات دعوت کن! این همان مسئله صبر است. ما حوصله نداریم صبر کنیم. ما نمی‌توانیم صد مطلب منتشر کنیم و تعداد کمی آن را ببینند. ما اصلاً یاد نگرفته‌ایم که در سکوت کار کنیم و تلاش کنیم و مدتها خسته و فرسوده شویم و بعد ببینیم مردم برایمان دست می‌زنند و تشویقمان می‌کنند. بلکه دوست داریم همان ابتدا که شروع به کار می‌کنیم مردم بیایند و تشویقمان کنند تا ما ادامه دهیم. یکی از دلایلی که من بحث غولی به نام مردم را نوشته‌ام و می‌نویسم همین است. موفقیت از فاز تشویق شروع نمی‌شود. 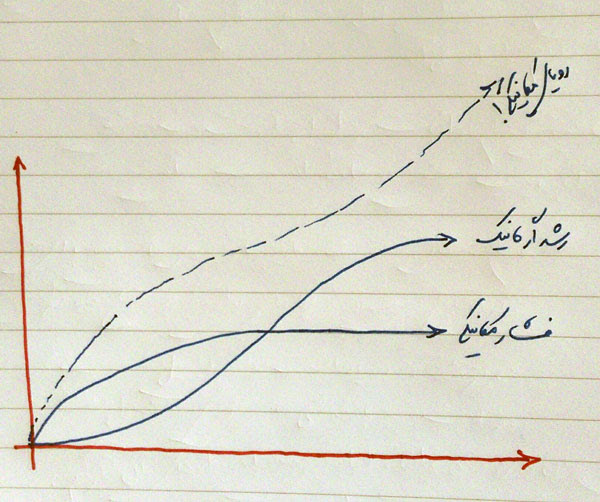 از فاز تحقیر شروع می‌شود. باید صبر کرد. صبر کرد و صبر کرد. باید تلاش کرد و تحمل کرد. تا نخستین نشانه‌های موفقیت پدیدار شود. مثال دیگری هم از حضور غیر صبورانه در شبکه‌های اجتماعی دارم. می‌دانید که من هر از چند گاهی در اینستاگرام صفحات خوبی را که می‌بینم معرفی می‌کنم. دوستان دیگری هم دارم که این سنت را انجام می‌دهند. چند وقت پیش صفحه یکی از دوستانم را معرفی کردم. بعد فهمیدم که او صفحه دیگری هم دارد و بلافاصله یک اسکرین شات از صفحه دیگرش گذاشته که به خیال خودش حالا که مردم به صفحه‌اش سر می‌زند آنها را به جای دیگری هم هدایت کند و از فرصت استفاده کند! موارد مشابه دیگری هم دیدم. یکی از دوستان دیگرم صفحه‌ی یکی از همکاران دیگرم را معرفی کرد و آن همکار عزیز، بلافاصله پست گذاشت که: بشتابید! بشتابید که از دستتان نرود. کلاس دارم. سمینار دارم. خوب دارم. عالی دارم. بشتابید! من نمی‌گویم تبلیغ بد است. انتظار ندارم که همه مثل من در شبکه‌های اجتماعی میمون و قورباغه به اشتراک بگذارند. هر کس روزی‌اش را به شکلی کسب می‌کند و این هیچ مشکلی ندارد. اما حرفم این است که این نوع رفتار، نشان می‌دهد که ما اهل صبر نیستیم. دوست من! حالا که مخاطب جدید داری زحمت بکش و چند روز و چند هفته برایشان وقت بگذار. برایشان مطالب خوب بگذار. حرف‌های مفید بزن. وقتی که به تو عادت کردند پیشنهاد بده که صفحه دیگر تو را هم دنبال کنند یا اینکه بشتابند و در کلاس‌هایت شرکت کنند. مثالهای دیگر بسیارند. از رابطه‌های عاطفی که می‌خواهیم خیلی زود به سرانجام برسند. از کتابهایی که مطالب درسی را به صورت فشرده آموزش می‌دهند و ما فکر می‌کنیم که در مسیر تحصیل و یادگیری جلو می‌افتیم. از معلم خصوصی گرفتن با هدف افزایش سرعت یادگیری (که اگر چه ممکن است موثر باشد اما مکانیزم‌های یادگیری طبیعی در مغز را تضعیف می‌کند). از تلاش برای مشهور شدن. از تقلید‌های کورکورانه از دیگران. از شتاب دولتها برای ایجاد توسعه سریع علمی و فرهنگی و اقتصادی در مردمی که هنوز ظرفیت آنها را پیدا نکرده‌اند. از شتاب مردم برای اصلاح دولت‌ها قبل از آنها ساختارهای لازم ایجاد شود و فرهنگ لازم شکل بگیرد. از ادامه تحصیل که آن را به عنوان جهادی برای یادگیری و کسب علم نمی‌دانیم و بیشتر به عنوان میان‌بری در مسیر رشد و پیشرفت می‌شناسیم. از خواندن‌ها و نوشتن‌های شتابزده که نه برای نوشتنش وقت می‌گذاریم و نه دیگران برای خواندنش. از تجربه‌ی فشرده‌ی لذت که چقدر حرف در موردش دارم و تک تک کلماتش ممنوعه است و اگر در نوشتارم به کار ببرم، همچون سیبی که آدم خورد مرا از بهشت اینترنت کشور(!) به برهوت بی اینترنتی اخراج می‌کند و گرفتار هبوط می‌کند. صبر چیز عجیبی است. معجزه می‌کند. اما چه باید کرد که حتی مفهوم و واژه معجزه نیز در نگاه ما چیزی از جنس سرعت در خود دارد. رشد تدریجی گیاهان و تکامل تدریجی انسان و تولد و رشد نوزاد برایمان معجزه نیست. معجزه وقتی است که در لحظه‌ای، از هیچ، انسانی پدید آید و روبرویمان بایستد!